Valve's Dota 2 has added announcer voice packs that enable Dota players to further customize their gaming experience through cosmetic additions. A Dota 2 announcer pack replaces the default Unreal tournament announcer with the voices of different characters from the Valve universe. 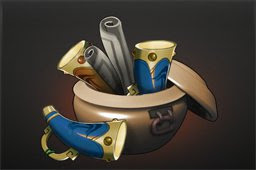 These items can be purchased from the Dota 2 store. Heroes of Newerth Announcer Concept? We want Gabe Newell Announcer!